Just in time for the holiday rush, Disney is rolling out an upgraded security policy at several of its Walt Disney World resorts in the Orlando area. 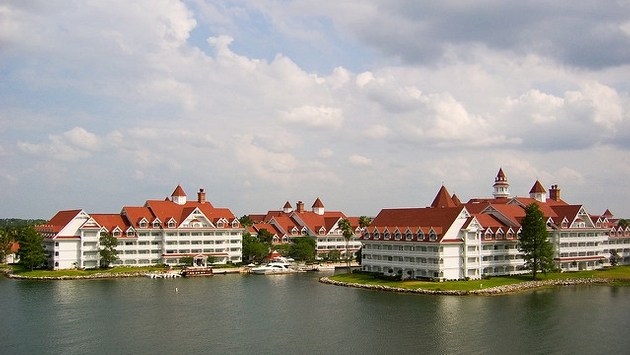 On Friday, guests at three monorail properties near the Magic Kingdom—Grand Floridian, Polynesian and Contemporary resorts—no longer found “Do Not Disturb” signs in their guest rooms. Instead, a “Room Occupied” sign has become the new in-room standard. Along with the new signs comes a new policy that mandates a cast member enter each room at least once a day to “ensure guest safety,” according to Walt Disney World News Today. Reportedly Disney started placing a notice of the updated policy in the guest rooms of the three properties starting Friday, as well as a clarification that cast members will give reasonable notice prior to entering a room, by knocking and announcing that they will enter. According to WDWNT, the new policy is believed to be in response to a mass shooting in Las Vegas earlier this year, when a lone gunman checked into the Mandalay Bay and stockpiled a weapons cache. From his room, he ended up killing at least 58 and injuring hundreds more. Disney officials have not officially commented on the reasons behind the new policy. Hotels around the country are stepping up security measures in response to the shooting, as well as equipping staff with additional means of defense, like panic buttons, in response to increased reports of sexual misconduct among guests. Disney is expected to roll out its updated security policies at other resorts in the coming weeks.